Non-contact vibration measurement technology by OptoMET combines precise optics with state-of-the-art digital signal processing. Extremely fine resolution of up to 2.5 nm/s (velocity) and 2 pm (displacement). Excellent bandwidth (up to 10 MHz). Vibration velocity up to 24.5 m/s. Compact and extremely powerful (optics and electronics in one housing). Large choice of different decoders for displacement, velocity, and acceleration. Easy operation, color touch display, rotary knobs and buttons. 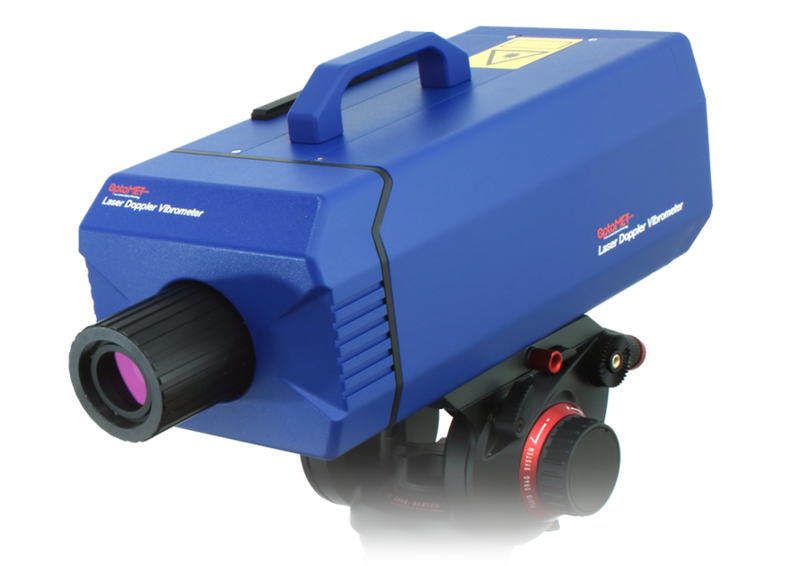 OptoMET Scanning SWIR Laser Doppler Vibrometer (SLDV) is used for non-contact measurement, visualization and analysis of structural vibrations. It determines the Operational Deflection Shapes and Eigenmodes as easily as taking a video. Entire surfaces can be scanned automatically using flexible measurement grids. 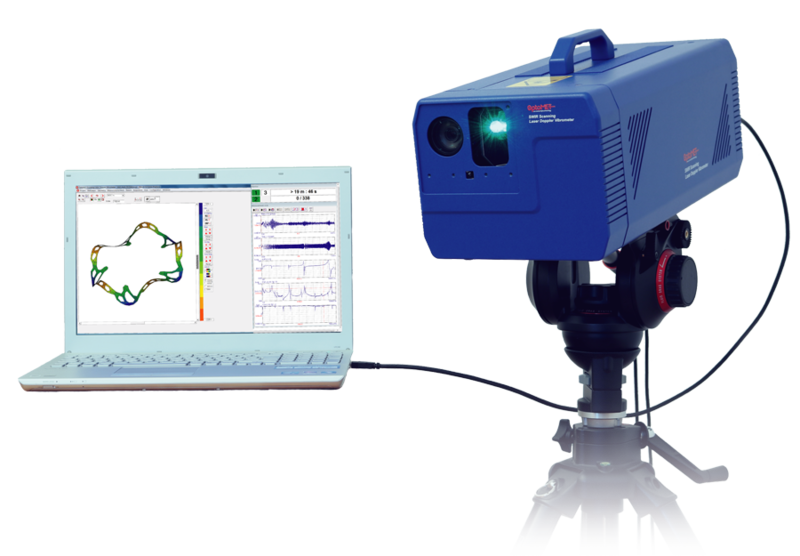 This powerful scanning system offers state-of-the-art digital signal processing Technology with extensive software for data acquisition, 3-D visualization and analysis. Very compact and easy to operate. Up to 14 velocity measurement ranges: 2.45 mm/s to 24.5 m/s. The OptoMET Dual Fiber SWIR Vibrometer consists of a SWIR vibrometer and a flexible Dual-Fiber head, different objective lenses either collimated or focused are available. 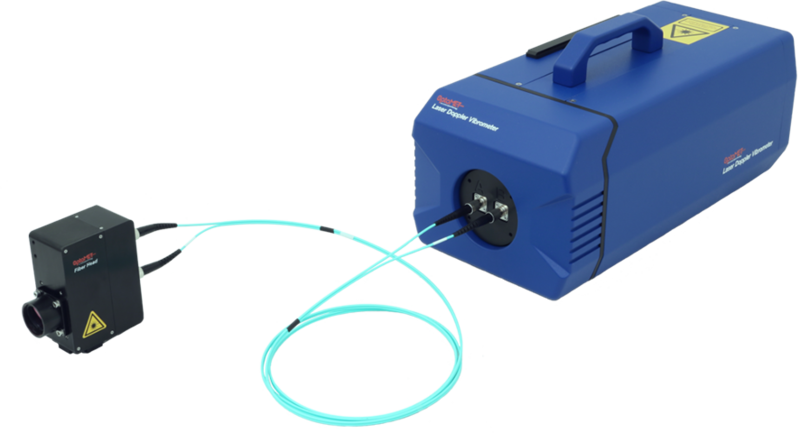 With its build-in stabilized SWIR laser the vibrometer gets a very good signal-to-noise ratio on all technical and organic surfaces. Thanks to our innovative digital signal processing technology the vibrometer achieves highest accuracy in combination with an outstanding resolution up to 4 nm/m for velocity and 4 pm for displacement. With an additional fiber switch multiple fiber heads can be connected to the vibrometer, so you can multiplex many different channels (2, 4, 8, 16, …), the fiber switch comes with an electrical interface (Ethernet, USB, TTL, …) and can be remotely operated by a PC.